As Realtors, we do a lot more than sell homes. Often, we are dream makers, therapists, reality checkers, personal advisors, house cleaners, a shoulder to cry on, architectural consultants, problem solvers, handywomen and, my favorite, solution finders. I have had several clients recently who were ready to upsize or downsize. More often than not, that meant they needed to sell their current home in order to buy the next one. I get the call saying they want to go look at houses. Their thought is they will find the house they want to buy, then sell their home. Makes sense, right? Get into escrow on the new house, then put their house on the market. Stop! And back up. Our current market is pretty competitive. As a buyer, your offer needs to be as strong as possible in order to compete with other buyers to get your dream home. Put yourself in the seller’s shoes: you have two offers almost identical and one of them is contingent on the sale of a home. That’s a no-brainer! Even if you are the only offer in a less competitive market, the seller is going to expect a premium price in order to accept that contingency. I’m not saying it can’t be done, there are just better solutions! In addition, most people use the money from the sale to buy the new home. Until you have it sold, you can’t be sure how much you will net on the sale of your existing home. I don’t care how good your Realtor is, there are no crystal balls! It’s pretty scary to think of selling your home before you have a new home picked out. What happens if you don’t find another home? Do you have to find a rental? Are there short term rentals? Does that mean you have to move twice? Moving is not fun! Or worse yet, will you end up homeless? 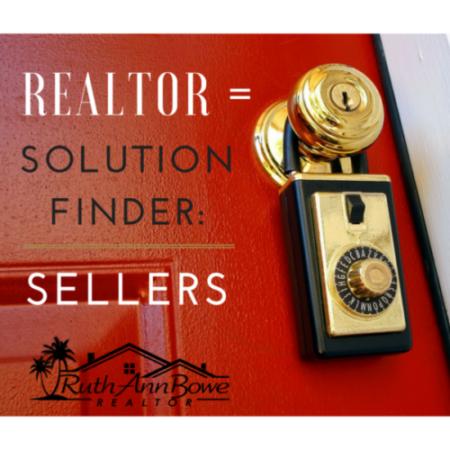 A good Realtor can put your mind at rest by offering a variety of great solutions that will help you achieve your goals and keep the process as pain free as possible! Here are just a few ideas to help you get top dollar for your home by not negating potential buyers, so that you can put forward your best offer to purchase. It is not unusual for a seller to need to buy something else. I have had several transactions in the last few months that required some finagling and finesse and worked out beautifully! When an offer was received that was worth moving forward on, we added a condition called “Contingency for Seller to Purchase a Replacement Property.” That way, we had time to look for a new home, get into contract and get our contingencies removed before we gave up the hold on our prior home. I just closed on two homes, where there were actually three homes that closed consecutively! That was a tricky one as loans were involved on two of the three purchases and keeping the lenders on the same timeline is not always easy! In addition, the cash from the sale was being used for the down payment, so they had to close in a specific order. With three different closing agents being used, that added to the chaos. It all worked out and my client has been posting photos on Facebook like crazy! What touched me the most was when her mother hugged me and said I was a blessing to her daughter and they were very fortunate to have me in their life. I LOVE MY JOB! Dependent on the buyer’s situation, often they are willing to let the seller stay in the home for a while after escrow closes. This can be tricky and is not necessarily the best solution if other options are available, however it is a nice to have as a plan B. Escrow can then close on the existing house, and you as the buyer are now in a very strong position to make offers. I had a seller/buyer where we closed on both houses on the same day, yet they did not move into the new home for two weeks which gave them time to get the new home painted and updated allowing them to move into a perfect home! These are just a couple of options and there are many more. Each situation is so completely different, which keeps our job interesting. Make sure you share all of your information and concerns with your Realtor so she can find the best solution for you!